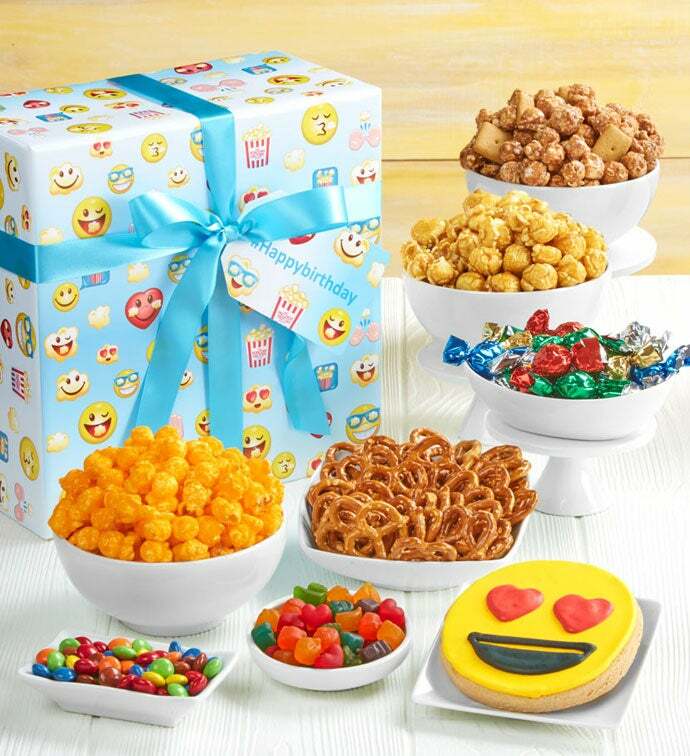 This delightful sampler, presented in our LOL design, comes filled with Mini Pretzels, Cocoa Gems, Foil-Wrapped Sour Candies, Gummies, a Frosted Cookie and 3 flavors of popcorn: Cheese, Caramel and S'mores. 1lb 12.6 oz. Serves 2-4.